Voluntaryly working people are organized in a so called Crisis Intervention Team (German: KIT). They may be asked by the rescue coordination centre to join the scene of an accident or visit people at home. There main task is to help people that have problems because they witnessed or got involved in a bad accident. Also the ralatives of victims of accidents or of deceased persons need help. 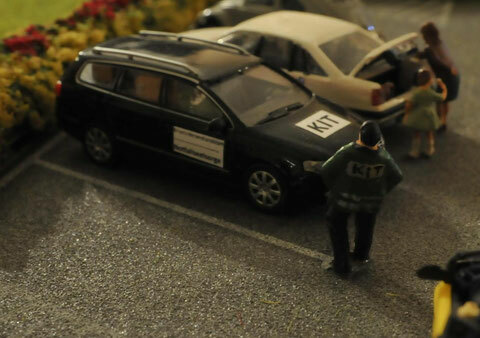 Volunteer of the KIT, wearing a jacket in front of his personal car which has been marked with magnets.